Support for Windows XP ended on April 8, 2014. Do you need more time? With state of the art virtualization solutions from VMware, continue to run your critical Windows XP applications in a virtual environment and make the most of your Windows XP investment. 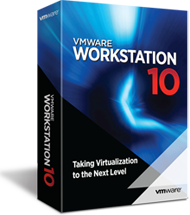 VMware virtualization solutions give you forward compatibility, so you can run Windows XP on modern hardware including the latest PC Ultrabooks, Intel-based tablets, and Macs. Isolating your Windows XP environment in a virtual machine will help reduce its vulnerability to security risks. Because virtual machines are containerized, you can turn off features like shared folders, drag-and-drop, copy-and-paste, networking, and USB access to reduce Windows XP vulnerability. If your virtual machine ever becomes corrupted, you can use the Snapshot feature to roll back to a safe state. You can even use the AutoProtect feature to automatically take snapshots at set intervals. Leverage Unity mode to run legacy Windows XP applications on a Mac or PC while simultaneously running the latest operating systems. 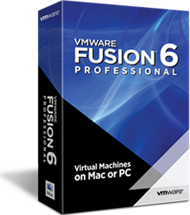 VMware's unsurpassed platform compatibility means that running Microsoft Windows 8.1, OS X Mavericks, and Ubuntu 13.10 could not be easier. Our solutions come with all the tools you need to easily convert your physical Windows XP PC and transfer all of your applications, files and the Windows XP operating system to a virtual machine running on a new Mac or PC.